On Using The Term "Fluffy"
I think most occult and spiritual-religious traditions recognize that a certain amount of harsh testing  precedes true initiation into the occult mysteries, so to speak. Consequently, "fluffy" is typically a derogatory  term applied to a witch whose "constitution" has not been tested and "refined" in a manner consistent with whatever path she or he follows. I personally do not believe that the level of "head knowledge" is always an accurate indicator of "fluffiness", as many very knowledgeable people can be "fluffy" and many rather unknowledgeable people can be rather "occult intense". I also do not advocate calling other witches fluffy, even if a particular witch may be what I might consider fluffy. We all are charged to develop upon our chosen path and if we aren't fluffy in this lifetime, certainly (in my opinion) we were fluffy in a previous one. Name-calling another witch fluffy is really more reflective of the witch who uses this term as opposed to the one the descriptor may be aimed against. I am referring to testing much like classic shamanic initiation, where one is "chosen" by the Divine and/or spirits for progression upon the occult or shamanic path. With respect to human-initiated persecution in the name of "testing", while persecution may be a tool of Divine-spiritual testing, the human persecutors are not excused of any wrong action they may initiate against a victim of their persecution. In other words, it is incorrect to think oneself above spiritual law and authorized to willfully persecute another in the name of occult testing. Sometimes the term may be generally and non-derogatorily applied to novice witches, but more often than not, it is meant in a derogatory manner. As with many terms of human language, context and intent count. Kishnevi commented on my LJ post regarding the Eilat ruling that indeed Eilat was not part of biblical Israel, and consequently, the ruling was not whimsical, but rather, is supported by Torah. I might agree with Kishnevi except for the little thing called da'at Torah, which gives one who has it the power to make reality. A Jewitch has da'at Torah. This is the power which enables her to make legitimate ritual substitutions or to use no tool at all other than herself to carry out a ritual procedure. Likewise, da'at Torah can be evoked regarding determining the boundaries of the Land of Israel. The only tool a witch absolutely needs to work effectively is herself. Tools do add the energy invested into them by the witch and her Divine connection into workings, but don't think that in the event of widescale persecution (may it never be so! ), and in the event that a witch was ever denied her tools (may it never be so! ), that she (or he) would be incapacitated. It isn't true. There have been times when all I've had to use was my essence, soul, mind and some small physical action. I don't think it's a good idea to cultivate the idea that a witch needs her tools to be effective. A witch needs to destroy that idea. I love my tools, but in the end, if they were stolen or taken from me, the energy I've invested in them would immediately return to me. I also think a witch does need to cultivate this latter idea - that the power invested in her tools belongs to her and can never be stolen or taken away. If a witch lacks some prescribed ingredient, invest another ingredient with the kavanah to carry out the purpose of the ritual. The soul and essence of a witch is empowered to do this. In Judaism, the power to do this is called Da'at Torah. As a witch, create the reality which surrounds your tools. Here is an example of creating a kabbalistic incense blend corresponding to one's name in Hebrew. The following is a recipe for my names Liorah Chanah (לֵיאורהּ חנה ) and Lleucu (ללאכי), revised from a previous recipe as described here. The night of the Dark Moon, following preparation of the raisins as described in the procedure post, the onycha and labdanum will next be ground and mixed together into the 9 drops of olive oil, then set aside in a cauldron mortar. To the midnight mortar, add and grind all 5 parts of the chelbenah (32 paths of wisdom, לללאא). Add 1 part shin kokonoe, grind together. Add 1 part dragon's blood, grind together. Add benzoin (storax), grind together. Add olibanum and cinnamon, grind together. Add opoponax to the onycha-labdanum-olive oil mixture previously set aside, grind together. Add this mixture to the mixture in the mortar. Add drops of red wine (used to soak raisins), mix. Add raisins, mix and grind. Add dates, mix and grind. Add drops of essential vanilla oil, mix. Add drop of Night Queen oil, mix. Dry overnight and store in sealed vessel. In my previous post, I wrote the final 4 word phrase - ארץ-זית שמן ודבש - which ends Devarim 8:8, and translated the word זית as olive. This is the way the word is translated traditionally. However, the shoresh  of olive is זות, not זית. Consequently, there is room to suggest that the word זית in this pasuk is not olive from the root זות meaning to "flow out slowly". I think the word in this pasuk is from the root זיו meaning "brighten" and "being bright and shiny". The word זית therefore, can be implying a "tree" (another meaning of זית)-root or botanical which "brightens". The Hebrew root of the tree-root which brightens is זיו. 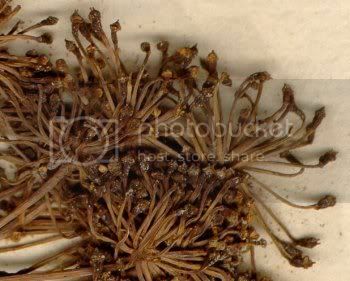 Another root  that is bright and shiny is shechelet (onycha), an ingredient of the Temple incense. Incense is often mixed with oil - like the next word in the 4 word phrase following זית is oil, shemen (שמן). Controversy exists regarding the identity of onycha. While many believe onycha comes from the operculum of a shell fish from the Red Sea, there are equally as many who believe it is an oil derived from a plant. Thus, as easily as זית שמן could mean olive oil, it could also mean onycha oil. The last word in the phrase derives from the root דבש which implies "delicious", "fat" or "thick" - these are all descriptors of Asher, the epitome of pleasure and happiness. Taking all this together, we have here in the 4 word phrase a code for "a woman who brightens reality with onycha oil, making it deliciously delightful and thick with happiness and pleasure." I imagine no one has ever heard those 4 words translated quite this way before, yes? I just love being a Jewitch. It makes me so happy. The final two foodstuffs associated with Tu B'Shevat in Devarim 8:8 are olive oil and date-honey. The phrase is written this way - "a land of olive oil and date-honey." Aretz (a land) pertains to Malchut, the final letter hey (ה) of the tetragrammaton (יהוה). The gematria of the entire phrase of 4 words is 1410. This value has a digit sum of 6. Six is the value of the letter vav (ו) of the tetragrammaton. Thus, what we have here in this phrase is a land (hey) of vav. In other words, we have a unification of the hey and the vav of the tetragrammaton. Importantly, tradition teaches that these two letters of the tetragrammaton pertain to the messianic aspect of the soul . It is also worth noting that the two letters vav-hey have a combined gematria of 11, the number of the incense spices of the universe of Tohu. Elevating Tohu (via the mystery of the incense spices  as traditionally taught) likewise elevates the Divine Name. Now, we have completed the list of foodstuffs of Devarim 8:8. Having begun in galut with wheat, the pasuk (verse) ends with the arrival of messianic consciousness and restoration of the Divine Name. This past erev shabbat IsraelForum.com removed 2 of my blogs, Walking On Fire and Craftwork Of A Jewitch, from their bloglistings. They didn't tell me that they did it nor explain to me why they did it. I merely discovered it myself perusing the new aggregated entries, seeing my entries mysteriously missing. I contacted them for an explanation as to why my blogs were removed, also pointing out in the correspondence, that they had missed removing my third blog, Contemplating Sefer HaBahir. IsraelForum never answered my inquiry directly, but they did promptly remove my third blog from the IsraelForum blog lineup. Yesterday, I contacted IsraelForum a second time requesting an explanation. As it currently stands, I still have received no direct reply or explanation. Are other J-Bloggers going to let IsraelForum get away with doing this to me? Raisin is one key fruit eaten and shared among both Celtic Imbolg (February 2) and Jewish Tu B'Shevat (February 3 this year) sacred days. The Hebrew word for raisin  is צימוק. The shoresh (3 letter root) of raisin (צמק) means "shrinking", "drying" and "shriveling" . The word raisin is found in Torah in 1 Shmuel (Samuel) 25:18 in the form צמוקים. 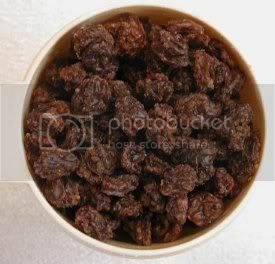 This form, though seemingly plural, is translated as raisin, singular (yachid). Moreover, the form צמוקים follows the Masoretic tradition - the text used by R. Shmuel Raphael Hirsch, from whose commentaries the etymological source dictionary I use was compiled. In other words, צמוקים is the way the word appears according to the Aleppo Codex (כתר ארם צובה). However, in most printed and online Hebrew texts of Torah, the word in 1 Shmuel 25:18 isn't spelled this way. It is spelled צמקים. Neither the letter yod (י) nor the letter vav (ו) as found in the normative word for raisin (צימוק) is found in commonly available Hebrew texts of Torah (the Bible). There seems to be some confusion about whether raisin is singular or plural (where ים is a plural ending), and whether or not it is spelled with a yod and a vav added into the root. Normatively, raisin is spelled with a letter yod following the letter tzadi (צ), and then a letter vav following the letter mem in its open form (מ). However, in the Aleppo Codex, singular raisin is spelled with a plural form, and with a letter vav (as opposed to a letter qof ק) after the letter mem. There is no letter yod in the root in the Aleppo Codex concerning 1 Shmuel 25:18 - but there is a letter yod in the plural form preceding a closed letter mem (ים) in its final form in the Aleppo Codex. What can all this quasi-confusion mean? First, the root implies dry because there is no water (מים) in it. Raisin, as found in the Aleppo Codex changes the entire meaning of the root - because (written in the plural form), singular raisin indeed has water in it (צמוקים). The open mem pertains to wisdom of the revealed world, while the closed mem pertains to wisdom of the hidden world. Consequently, the masoretic form contains both kinds of wisdom - concealed and revealed. In the normative Hebrew form of raisin, hidden wisdom is not present. The root letter yod (in distinction to the yod of the plural ending), missing in most (if not all) printed and online versions of Torah and Tanakh, is also not present in the Aleppo Codex. Yet, the letter is present in the mundane sense, in the normative spelling of the Hebrew word raisin. This means that we have to find this letter in our everyday material world of action. It's not somewhere "out there", far from us. It is close, very close to us. It is even within our own souls, each and every one of us. It's not in the exclusive domain of the learned and mystically pious. It's ours, every one! Yod, in the soul, represents the feminine power of the left hand. Thus, what brings revealed and hidden mysteries to unified expression is the feminine power of the left hand. Taking all this together, we can see that sharing is key to uncovering, partaking of, and bringing to revelation, the hidden mysteries. It is for this reason that singular raisin is written in the plural form - written plural yet pronounced singularly - the essence of achdut (egregore) is perfect unity in the presence of multiplicity. 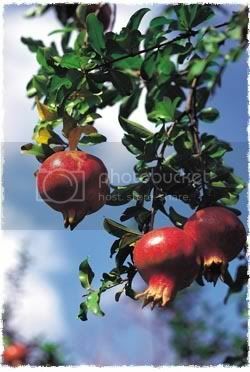 The fifth product of the Land of the Divine Feminine eaten during Tu B'Shevat is the pomegranate (rimon, רימון). Thought to be the fruit of the Tree of Knowledge, rimon can mean either the pomegranate fruit or shell. In Jewish kabbalah, a shell is a kelipah. A kelipah is "the outer shell which conceals the godly light within all creation; hence, it is the unholy side of the universe." At present the shell is in an impure state, but it is needed - its role is to protect the inside. However (in the era of redemption), then the shell itself will be on a holy level. Thus, the pomegranate contains within its symbolism the holy seeds of "unholiness" and through the meaning of the root, elevates and transforms the impure to the pure. In other words, by eating of this fruit, we are raising the shell which is our material animal nature, elevating it to a holy nature, and bringing vitalized holiness into our life. We are returning our physical nature, not to innocence, but to experienced holiness. The fourth product of the Land of the Divine Feminine eaten during Tu B'Shevat is the fig. Again, as with the last two "foodstuffs", the word (in Devarim 8:8) for fig (ותאנה) is prefaced with a connecting vav. The root is תאנ and the final letter hey (ה) is a feminine ending. Significantly, the gate (2-letter root, sha'ar in Hebrew) to the shoresh (3 letter root) consists of the word "ta" (תא), a "completely dark" cell of the Holy Temple  corresponding to midat hadin (the attribute of justice) . Normally, humankind cannot endure strict midat hadin. Yet, this attribute forms the foundation of each feminine cell of the Holy Temple. Moreover, King Solomon recognized that the essence of the Divine Spirit is contained within the "order of justice" (midat hadin)  and prayed for it to be made understandable to man. Understanding (corresponding to the sefirah Binah), as is a Temple cell (corresponding to the sefirah Malchut), is a feminine quality. The feminine quality of Understanding corresponds to the letter nun (נ), the third letter in the shoresh following the gate "ta". Importantly, the letter nun symbolizes the messianic soul . 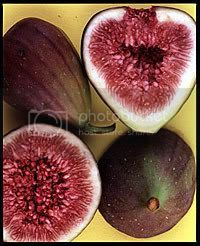 Thus, it is here, hidden in the symbolism of the fig, where a woman may access her messianic soul spark. Like King Solomon, the ancient Celts recognized the Presence of the Divine Spirit in the complete darkness of a cell. In Ireland, Wales and Scotland, bardic colleges would use a technique for incubating tehilim (psalms, songs of prophetic poetry) called the cell of a song. A bard-psalmist would be laid on a wattle bed in a closed, windowless cell ...after 24 hours, the bard would emerge from the darkness and write of that revealed there. 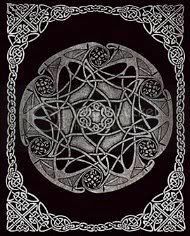 Ancient Celtic bards, like ancient Hebrew psalmists and Welsh awenyddion, were prophetic poets whose prophecies were oftentimes accompanied by song or music. Taking all this together, we can understand that the fourth product of the Land we eat during Tu B'Shevat symbolizes the experience of the complete darkness found in the cell of the Holy Temple. Evidence that we have truly "eaten" of it, and thus internalized its message, is the poetry and artistry that such an experience itself produces in the one who has experienced it. The musical poetry of Walking On Fire. Bringing light from darkness and cells of the Temple. A seasoned, experienced and active practitioner of the magical mystical arts for over two decades, born with magical awareness and memory of my preincarnate journey into physical existence, classically called and initiated mystically as a small child, I am an evolving Traditional Heathen Witch walking a crooked pagan path. With a focus on the pagan traditions of my Ancestors, I practice Ásatrú and Seidr (Northern Tradition Witchcraft) touched with Appalachian folk magic. My concept of the Divine is pantheistic, animistic, naturalistic, and as a woman, focuses on the Divine Feminine. My studies and practice focus on traditional herbalism, artisan craftwork, magical meditation upon sacred texts and folklore, and using mystical alphabets to channel creative consciousness. Ancestor work is a large part of my personal spiritual practice as a Witch. My primary genetic ancestral roots are Northern & Northwestern European Teutonic (with my primary deep genetic ancestral root localizing to Sweden). By both DNA analysis and oral family tradition, my Teutonic ancestors hail primarily from England, Germany, Iceland, Ireland, Norway, Scotland, Sweden and Wales; with additional ancestral autosomal and mitochondrial genetic links to Australia (Caucasian Tasmania), Austria, Azores Archipelago, Belgic Dutch Netherlands, Caucasian New Zealand, Finland, France, Hungary, Italy, North Africa and Slovakia, noting ancient ancestral migrations through the Russian Steppe from ancient Anatolia. Both my ancestral genetic motherline and fatherline are part of the ancient populations archeologist Marija Gimbutas called "Old Europe." My ancestral genetic motherline U5 haplogroup subclade is U5b1b1 (U5b1b1-T16192C! ), the foundational lineage of the Saami (the indigenous reindeer-herding population living in northern Scandinavia). Additionally, my U5 ancestral genetic motherline is the oldest European genetic motherline in the world - scientific research has shown that my ancestral motherline, namely U5, has been in Europe for around 50,000 years, arising in the Near East, entering the European continent and migrating deep into Europe not long following the successful migration and expansion of homo sapiens sapiens out of Africa. My paternal ancestral I-M223 (formerly known as I2b1, I2a2a and I1c) genetic fatherline is also indigenous to Europe, the first European fatherline, and later in history, an Anglo-Germanic-Scandinavian Viking fatherline. Both my maternal and paternal families have American roots deep in Kentucky - my paternal family hails specifically from the Cumberland Gap in the Appalachian mountains where Old World conjure still flourishes among the mountain folk. By genetic analysis, I am 1.9% Neanderthal and 2.3% Denisovan (archaic human species coexisting with homo sapiens sapiens in ancient Europe and Asia for at least 10,000 years). As a Witch, this ancestral knowledge provides me with a powerful conscious link to my Mighty Ancestors and the Sacred Powers of Ancestral Tradition. Mother of 3 adult children and grandmother of 7 grandchildren. Raised Christian, I took up Torah in 1996 (formally through a Beit Din and mikveh immersion in 1997) studying Judaic Kabbalah and Jewish Law in Liberal to Hasidic environments, and turned to Witchcraft (the tradition of my Celtic ancestors) in 2006 - combining both Ancestral traditions into a spiritual path unique to me. In 2012, my ancestral pathworking, combined with both autosomal and mitochondrial ancestral genetic analyses (performed by 4 independent research labs on 2 continents) turned my ancestral pathworking toward the Scandinavian (more specifically) and pan-Teutonic peoples (more generally). My autosomal (genetic inheritance from both parents) deep ancestry locates to Sweden, and to Northern-Northwestern Celtic-Germanic lands generally. My mitochondrial ancestal motherline is U5b1b1 (specifically U5b1b1-T16192C! ), the foundational haplogroup of Saami major motherline 1. I currently practice Northern Tradition Witchcraft. Celtic tapestry with a Jewish magen David in its design. The third product of the Land we eat during Tu B'Shevat is v'gefen (וגפן). As discussed in my previous entry, the first letter vav is connective. V'gefen is typically translated as grape, and grapes are indeed the "product of the land" on most Tu B'Shevat seder plates. However, the word in Devarim 8:8 is not grape. In Hebrew, the word for grape is enav (ענב). The root of v'gefen is גפף meaning "winding", "curving", "twisting", "intertwining vine", "raised edges" and "body/limb". The word gefen גפן can mean vine. Grapes are fruits of the vine. Nevertheless, Torah didn't say "grape", it used the root implying something that is winding, twisting and intertwining. Why? The first product we internalize (eat) of the Land, is the kavanah (mystical intention) to reconnect each and collectively to our Divine soul. 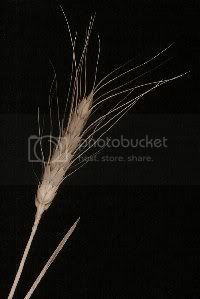 This was characterized by the wheat. The second product we internalize is the realization of reconnection, characterized by the barley. With gefen, the third product of the Land, we begin a long and winding journey toward self-discovery, while at the same time, we are intertwining our natural nature with our Divine nature. Thus, we can see that the fruits we eat during Tu B'Shevat contain within them a mystical message for us. That message is a recipe for reunifying our natural nature and our godly nature, and for drawing the power of that reunification out into our living reality. The Subterranean Temple - on the long and winding nature of the path to the hidden ark. JERUSALEM (Jan. 24) - "A magic spell to keep snakes away from the tombs of Egyptian kings, adopted from the Canaanites almost 5,000 years ago, could be the oldest Semitic text yet discovered, experts said Tuesday. The phrases, interspersed throughout religious texts in Egyptian characters in the underground chambers of a pyramid south of Cairo, stumped Egyptian experts for about a century, until the Semitic connection was found. In 2002 one of the Egyptologists e-mailed the undeciphered part of the inscription to Richard Steiner, a professor of Semitic languages at Yeshiva University in New York. Steiner discovered that the phrases are the transcription of a language used by Canaanites at some point in the period from 25th to the 30th centuries B.C. The text includes words that have the same meaning as in Hebrew, like "yad" for hand, "ari" for lion, and "beit" for house, he said." Note that today's Hebrew date rests like a double shabbat, a shabbat shabbaton, and like the double edges of a witch's athame, between two letters zayin (ז ... ז). The second product of the Land that we traditionally eat during Tu B'Shevat is barley. The word in Devarim 8:8 is ושׂערה meaning "and barley", where the first  letter is a vav (ו) of connection called a vav hachibur. This is the vav which reconnects the letter yod to the letter chet in the word wheat (חיטה) as discussed in my previous entry, Wheat - From Galut To Geulah (from exile to redemption). Evidence for this reconnection is found in the root שׂער of the word for barley, which implies a strong movement from within . The first letter of the root is sin ("s" sound) as opposed to shin ("sh" sound), with a nikud (dot) over the left pillar as opposed to the right pillar. Consequently, we can see that the movement manifests through action of the feminine left emanation. What is this movement? It is the movement described in Sefer Yetzirah 1:6 and 6:1 as a stormwind, the se'arah. Ruach se'arah  is a klipah (as I've distinguished previously here, Sufah and Se'arah), in contradistinction to ruach hakodesh or divine inspiration. Like its ezer knegdo, the shoresh "against it" (שרע), it implies stretching and extending in response to a strong inner movement. In other words, it is deliberate, measured, active work. This klipah gives the soul something to push and pull against enabling growth. As a yetziratic "agitating wind" meant to loosen distorted complexes in the soul for removal and/or reconstruction, ruach se'arah is neither as powerful nor as potentially destructive as Ruach HaShem. Ruach se'arah results when the human moves toward the divine. Ruach HaShem results when the divine bestows upon the human. Consequently, the powerful presence of the "chaotic dynamic" described here is evidence that the reconnection has been established. In my own life, this dynamic is discussed most notably here (Soul Of A Bat Kohen) and here (Modah Ani). Hebrew is read right to left, as opposed to from left to right as with English. One of the traditional foods we eat on Tu B'Shevat is wheat (חיטה). However, in Devarim 8:8, the pasuk from which the tradition is derived, the word is not חיטה, it is חטה. In it's native state, the root חטה implies being "removed from the source of life", "sinning extensively" and "deviating from the path" . 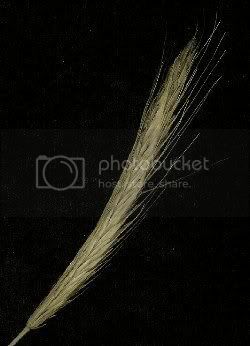 Nevertheless, most chumashim translate the word חטה, as it in its native state, as wheat. What can we learn from this? First, the reason the root implies being removed from the source of life, is because the root חטה lacks the letter yod (י) which the word wheat contains. With the letter yod included, the entire meaning of the root is transformed. The yod becomes reconnected to the source of life. In other words, from the perspective of the pintele yid (the aspect of the soul hardwired into the Divine and represented by the yod), it is disconnected from life (represented by the letter chet ח) in the root חטה. When the yod and the chet are reunited in the word wheat, we form the word chai חי (representing both the chayah and yechidah soul levels and life). Moreover, kabbalistically, חי represents one's messianic soul. The remaining letters of the word חיטה are tet (ט) and hey (ה), each representing the feminine yesod and malchut (aretz), respectively. Tet (a feminine vessel letter) functions to receive messianic awareness, while hey (a feminine letter of expressive bestowal) functions to express and distribute it. Thus, by pronouncing חטה as חיטה we are infusing our "native state of awareness" (katnut consciousness) with the kavanah to drive us toward a "messianic state of awareness" (gadlut consciousness). We are making it a reality by pronouncing it the way we want reality to be, by recognizing that at some level, it already is. This year, Monday January 29, is a Jewish observance called Yod Shevat (the tenth of Shevat). It is, before we celebrate either Imbolg or Tu B'Shevat. The very next day following Imbolg, celebrating She Who Heals, on February 3 this year, is the Jewish celebration of Tu B'Shevat, celebrating the New Year for Trees. 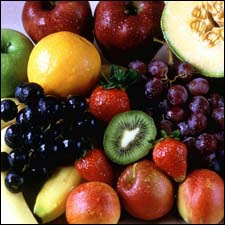 It is customary on Tu B'Shevat to eat "native fruits" of The Land. Called Eretz Yisrael in Torah, "the land" here refers to the Land of the Divine Feminine. It is quite appropriate then to connect these two sacred days - Imbolg and Tu B'Shevat. First, during Imbolg, She heals the land. Then, during Tu B'Shevat, He eats of Her fruits. Imbolg (also called Imbolc) is one of the four Greater Sabbats of Celtic witchcraft. The Welsh name for Imbolg is Gwyl Ffraed. Typically, Imbolg is observed February 1/February 2 in the northern hemisphere. Purification, healing and recovery, prophetic poetry and smithcraft are linked with the Divine Feminine power ruling this sacred time. The first two letters "im" (אם) spell "mother". "Mother" is from the 3-letter root אמה which means "pillar" and "support" . Significantly, the word and the root begin with the letter aleph (א). Aleph symbolizes air and the central pillar of the sefirotic array. It also is bound specifically to the feminine sefirah Malchut (kingship/queenship), the sefirah through "which all other sefirot (divine emanations) are expressed" . Consequently, the root implies balance, a quality of hishtavut (mystical equanimity), and Divine rulership. The final three letters form the root BLG (בלג), meaning "strengthening", "supporting" and "recovering" . The meanings in this root fit well with the healing message of Imbolg. Taken together, we can see that Imbolg is a Celtic Sabbat celebrating the divine She Who Heals, where She Who Heals goes by the Celtic name Brigid, by the Welsh name Ceridwen, and by the Hebrew designation, the Shechinah. Three substances in Torah allude to the entire 11-component blend of the Temple incense. They are nataf (storax, commonly known as benzoin), shechelet (onycha) and chelbenah (galbanum). Significantly, each one has a unique feature - making the Temple incense a blend of uniqueness, like my 3-name blend is unique to me. Nataf (נטף) flows from within . 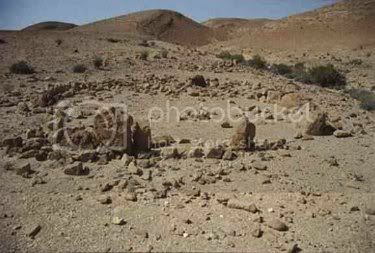 Shechelet (שחלת) grows from the earth (malchut). Chelbenah (חלבנה) is seemingly evil (reflected in the 11 original components of tohu ), but in truth, is holy (reflected in the 16 rectified and elevated components of b'yad ramah). Saffron (karkom כרכם) is noted to be among the ingredients of a blend constituting my "3-name incense". Karkom is specifically a contribution of my name, Lleucu - where Lleucu is my circle (craft) name within the title Lleucu HaMasovevet. Karkom is derived from the shoresh (root) כרך, which means "envelop" and "permeate" . This fits well with and further supports the concept that Lleucu is a name which encircles, surrounds and envelops completely. The Lord came from Sinai and rose up from Seir to them; and shone forth from Mount Paran (Devarim 33:2). During the same first Dark Moon on which I will prepare the first reversal candle as described earlier, I will ritually prepare my "name" incense. This is one recipe for my names Liorah Chanah (לֵיאורהּ חנה ) and Lleucu (ללאכי). One night preceding the Dark Moon, in an earthenware vessel, completely cover raisins with red wine and soak until the Dark Moon. Cover loosely while soaking. On the night of the Dark Moon, before midnight, add chelbenah to midnight mortar and grind into a nearly fine powder with pestle. Add the other resins and dry herbs or spices to the ground chelbenah and grind all into a fine powder. Add drops of olive oil, mix. Add drops of red wine (used to soak raisins), mix. Add raisins, mix and grind. Add drops of honey, mix. Add drops of vanilla, mix. Add drop of Night Queen oil, mix. Allow to dry loosely covered within the mortar overnight. The next afternoon as the sun sets, place the incense into a glass jar and seal until use (during reversal and protection ritual during full moon esbats). There are 10 primary dry ingredients and 6 adorning moist ingredients in this unique chelbenah-kapet incense blend - for a total of 16 (ביד) unique components - which when burned, whose smoke will rise (רמה). Mortar - A vessel in which substances are crushed or ground with a pestle. Pestle - A club-shaped hand tool for grinding and mixing substances in a mortar.